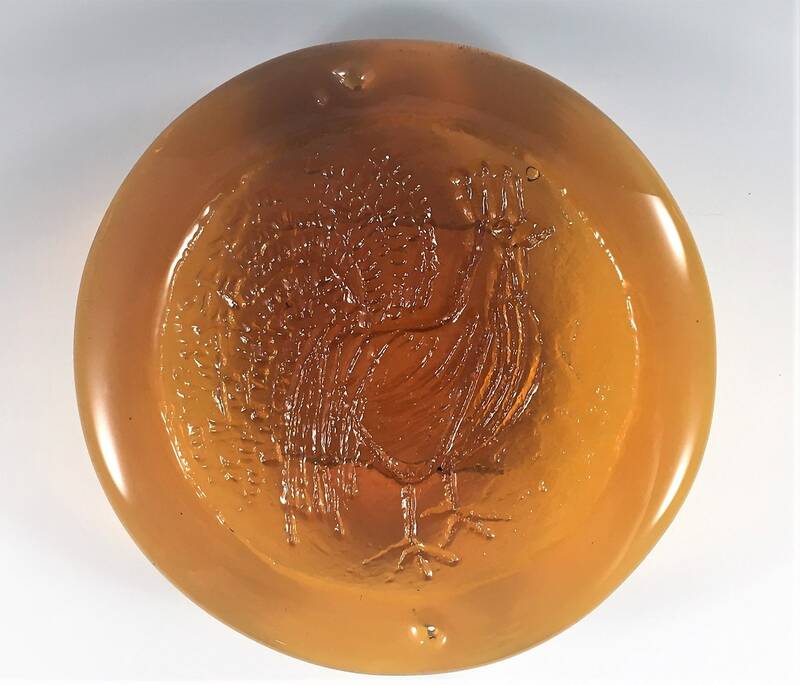 Featured is a wonderfully unique amber glass chicken or rooster plate. This beautiful piece is about 8 3/4 inches in diameter and is about 3/8 inches thick. 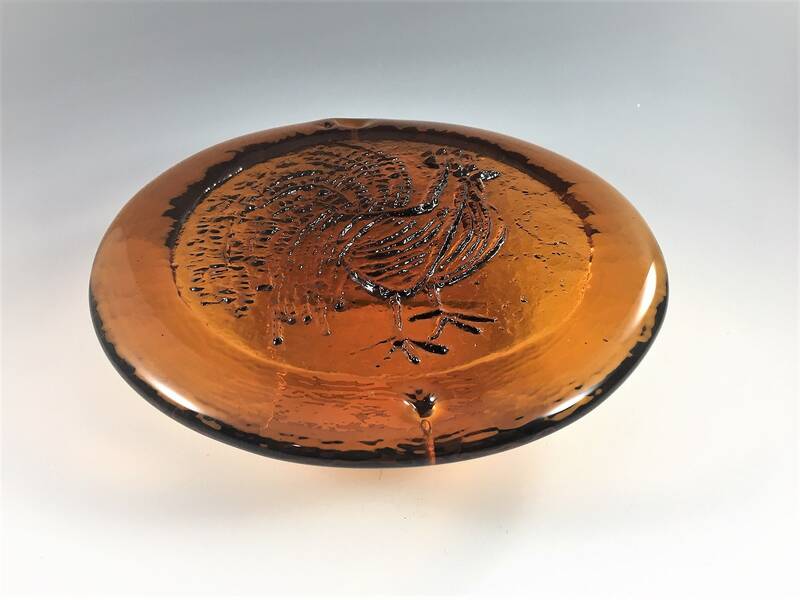 It has been embossed with chicken on one side, and the top and bottom of the plate have small holes through which hanging wires could be attached. The great piece of glass would is sweet on a stand or as a wall hanging. It's also very attractive as a horizontal plate. 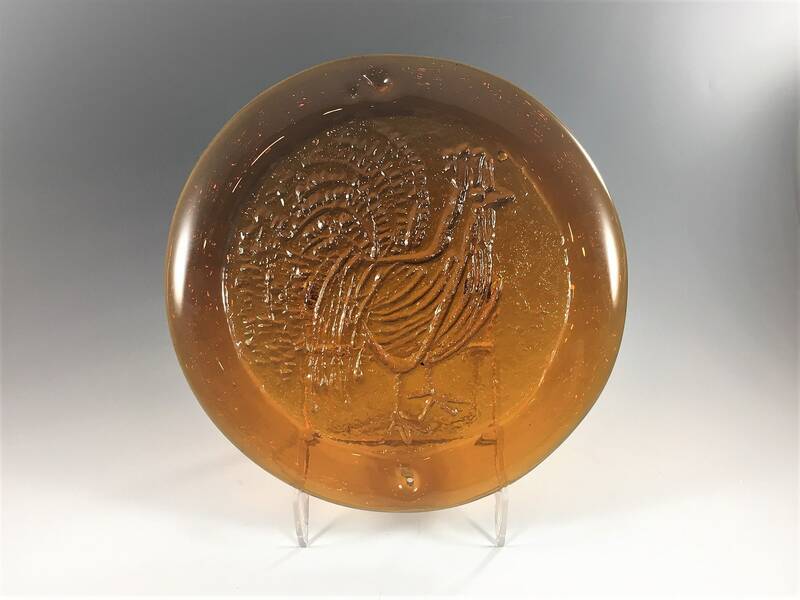 This piece of art glass would make a super gift for the chicken lover in your life.